Springfield, IL-(ENEWSPF)- If you were or are a customer of Sperian Energy, there’s some money coming to you. 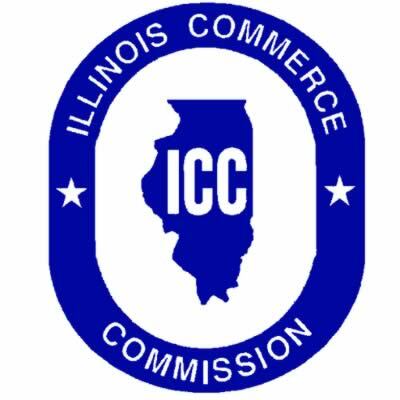 The Illinois Commerce Commission announced on Monday a global settlement where Sperian Energy, an Alternative Retail Electric Supplier (ARES), will refund a total of $2.65 million to Illinois consumers. Additionally, Sperian has voluntarily suspended all marketing efforts in Illinois for two years. In July 2015, the Commission initiated a proceeding against Sperian Energy, directing the company to appear before the Commission in response to allegations that the Company’s marketing of retail electric products violated both the Public Utilities Act and the Commission’s Rules. The allegations stemmed from customer complaints made to the Commission’s Consumer Services Division about both door-to- door sales and telephone solicitations. In 2017, the Attorney General filed a separate action against Sperian in Circuit Court, alleging Sperian’s actions constituted multiple violations of the Illinois Consumer Fraud and Deceptive Practices Act and the Telephone Solicitation Act. The global settlement is memorialized in two parts. A consent decree between Sperian and the Attorney General resolves the civil case and outlines the amount and process for distributing customer refunds. A settlement administrator will be engaged to identify customers who are eligible for a refund and to process the payments. A separate settlement agreement between Sperian, Commission Staff, the Attorney General, and the Citizens Utility Board details additional marketing restrictions to which the company will be subject for the next five years. The Commission is expected to approve the settlement on October 25, 2018; the Circuit Court of Cook County must also enter an order approving the consent decree. The settlement agreement for Docket No. 15-0438 is available for review on the ICC website. Sperian admits no liability in either agreement. Detailed information on the Energy Choice Program, including the alternative energy suppliers certified in Illinois, can be found at the Commission’s website at www.pluginillinois.com. Consumers who have questions or complaints about the marketing practices of an alternative energy supplier are urged to call the Commission’s Consumer Services Division at 800-524-0795. This is from an October 15, 2018 release from the Illinois Commerce Commission.